Panel saw, Sliding table 49" (1250 mm). 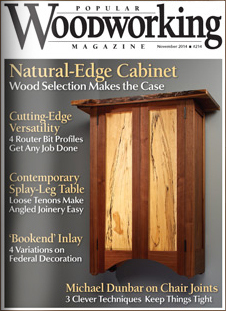 Built for the woodworker, that appreciates high quality! With precise length, miter and panel cutting- every detail has been thought through and optimised. The HAMMER K3 Winner is the precision saw for the discerning woodworker. With a high quality slider, cross-cutting, miter and ripping cuts are quick, simple and precise. The crosscut fence with beveled scale and magnifying glass as well as the fine-adjustable rip fence running along a solid round bar offers operating comfort unique to the K3 Winners class. The comfort package that includes a 78¾" (2000mm) slider and outrigger table fulfills professional requirements. 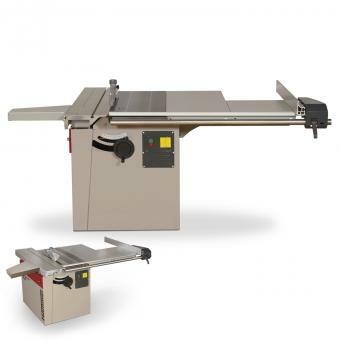 Sliding Table Saw K3 winner 48x48"
High quality and top performance for small workshops! - Accuracy from Hammer: A solid and compact saw assembly for years of reliability. - The standard Hammer sliding table: Providing stability and accuracy! A milled, strongly ribbed aluminum profile with multiple chambers in combination with the high quality guiding system ensures play-free movement of the sliding table! - Angle adjustment from 90°–45° using Felder’s precision scale. - The scale on the crosscut fence is beveled towards the operator, this is to aid in setting the crosscut-stop position accurately and prevent readout errors. The crosscut-stop ­position-indicator is ­perfectly integrated into the body of the stop. - Professional rip-fence with round guide bar. Hammer® - A risk-free decision! - Hammer® Sliding Table Saw K3 winner 48x48"
Maschinenvorführung mit "Harry", Ing. Harald Tschurtschenthaler. Präzise Abläng-, Gehrungs- und Format­schnitte mit dem leichtgängigen Formatschiebetisch, exakte Parallelschnitte. Das sind die Kriterien, nach denen Sie uns bemessen. Die K3 winner bietet Ihnen darüber hinaus Details, die Sie in dieser Maschinenklasse sonst nirgends finden werden – z.B. das Präzisions-Kreissäge­aggregat, der Ablänganschlag mit schräg ­angeordneter Skala und Ableseoptik für exakte Einstellarbeiten oder der feineinstellbare Parallelanschlag auf Rundwellenführung. Anspruchsvolle Holzbearbeiter entscheiden sich jetzt für die K3 winner.